J.E. Dixon Inc. is a premiere Michigan roofing contractor that has been serving Macomb, Oakland, Livingston, St. Clair and Wayne Counties since 1991. We are a fully licensed and insured roofing contractor that is certified by several manufacturers and organizations. We install, maintain and repair all commercial and industrial roof systems including single ply EPDM (rubber), PVC, TPO, modified, and built up coal tar pitch and asphalt systems. We carry several types of insulation to meet your needs including polyisocyanurate, fiberglass, gypsum, EPS foam, fiberboard and perlite. 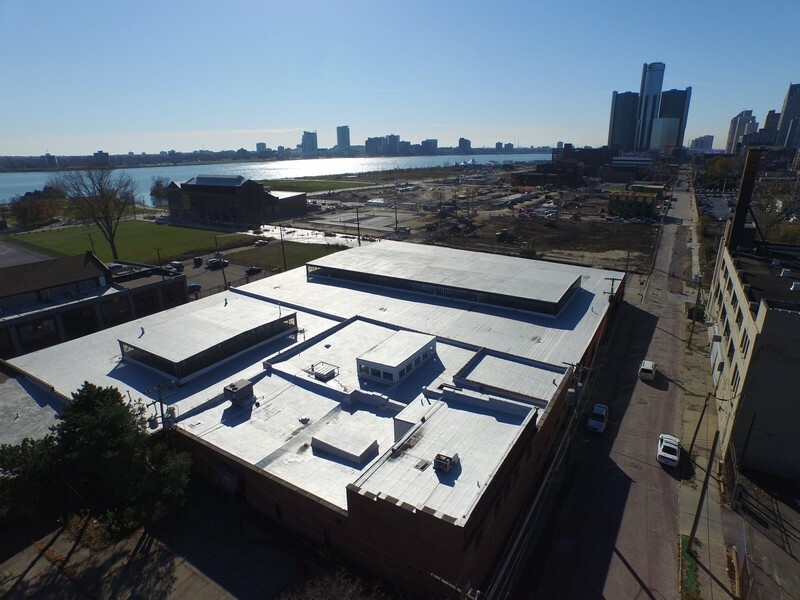 The Dixon roofing team has successfully completed numerous commercial roofing and industrial roofing projects all over the country, ranging in size from several hundred thousand square feet to a few hundred square feet. We fabricate and install our own custom sheet metal and have a large variety of colors and gauges available. Our professional team is trained and equipped to install new roof systems, repair leaks and perform routine maintenance to extend the life expectancy of your investment. It is important to address roof problems as soon as they occur to prevent further damage to the building. The staff regularly attends educational classes and training seminars to stay current on new roof systems, technology and safety. Our work is always completed in a safe and efficient manner, providing our customers with a highest possible value. The expertise of our consulting and roofing services are routinely called upon following natural disasters and storms that occur around the country. We are your premier commercial roofing contractor in Michigan. We are known for quality roof repairs, maintenance and installations in Metro Detroit. We serve clients every day in Troy, Birmingham, Harper Woods, Bloomfield, Auburn Hills, Royal Oak, Sterling Heights, Novi, Macomb County and other parts of Michigan. Call Dixon Roofing at 586-752-2411 or contact us online. © J.E. Dixon Roofing 2019. All Rights Reserved.